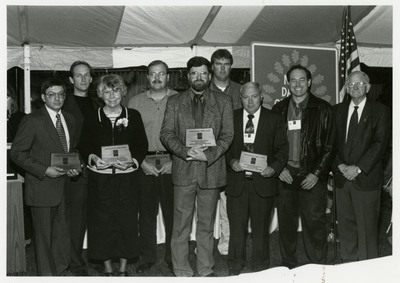 Group photo of the recipients of the 1999 North Dakota Trees Award. Left to right in the front row: Larry Kotchman, Rosemarie Myrdal, Craig Stange, and Lonnie Hoffer. The other five men are unidentified.